Ralph joined D&L in 1957 after graduating from Evans Business College and serving our country in the United States Air Force. In 1960 Ralph Brackett became president of D&L. Ralph purchased D&L from his father in 1964. He has served on the Board of Appliance Parts Distributors Association, chairing every national committee, before becoming its President from 1988-1989. Ralph was D&L's third employee working in D&L's only branch and now oversees a company with over 130 employees and 18 branches. D&L is part of an ever changing and evolving industry. Unlike many other appliance and HVAC parts distributors around the nation, D&L has been able to adapt to meet the needs of our customers. D&L is still in business while many others are not. From our start in 1955 in a small building on Wilkinson Boulevard in Charlotte, D&L has grown into one of the finest and most respected parts distributors in North America. Ralph Brackett has always been the leader and driving force behind D&L's success. He considers everyone at D&L his extended family, including our customers. We are a family owned business serving many other family owned businesses ... a rare jewel in today's world of corporate conglomerates. Rachel, daughter of Ralph Brackett, is the next generation to step into management at D&L. She graduated from Clemson with an Accounting Degree and received her MBA from Arizona State University. She was approached by Bank of America while a student at Clemson and after graduation in 2011; Rachel went directly into their Financial Management Program. This program allowed her to rotate between many accounting and financial positons within the bank. Rachel left Bank of America as an Assistant Vice-President to join D&L. Along with accounting skills, her areas of expertise are process improvement and trend analysis. She brings a unique and needed skill set to D&L. Mark Williams is D&L's Vice President of Operations; joining the D&L family in 2006. He came to us with a solid background in the Appliance Parts Business having literally grown up in it. In his family owned supply business, Mark worked as store manager at several locations as well as inventory control. He eventually came to own and operate this business which had stores in 5 states throughout the Rocky Mountain Region. Mark is primarily responsible for D&L's main purchasing department located in Charlotte, NC. He also oversees D&L's Distribution Center Manager, Credit Manager, and Branch Managers. Pam Butler is the Chief Financial Officer and Secretary of the Corporation. She joined D&L in 1968. Her primary responsibilities include all departments on the financial side of our business (Accounts Receivable/Payables), personnel, overseeing our mainframe development, and the day-to-day operations of our branches. Pam also completed General Electric's Leadership training program in 1994. Steve joined the D&L Team in 2019. He spent the last 5 years selling automation equipment to manufacturing plants throughout the Carolinas. Most recently he has been working with 14 sales engineers across the Midwest and Southeast to develop tools and sales processes to increase sales in the plastic injection molding market. He brings a wealth of sales knowledge and experience with him and is very excited to learn our industry. Originally from Chicago, Steve has been converted to a Panthers fan, however he still spend most of the summer following the Chicago Cubs. Jaime joined D&L's Information Technology team in November 2013. In May of 2014, he was promoted to Director of Information Technology. Jaime's IT career began in 1994 with ETalk; in 1996, a strategic alliance was developed with PowerPath Systems and the two companies merged. This began fourteen years of business to business IT consulting with PowerPath Systems and then, SCS. Jamie's broad background in infrastructure support, strategic planning and his passion for customer service, uniquely positioned him as the natural successor to our retiring IT manager. The IT department was reorganized to include development, strategic planning, and support for all seventeen locations, including our corporate office. In his short career with D&L, Jamie has lead us through several major IT initiatives, including a conversion to voice over IP, conversion from Unix to Linux, implementation of an active directory network design, and a move to cloud services. David Strum has been with D&L since 2009 as our Credit Manager. He graduated from UNC Charlotte in 1998 with a Bachelor's Degree in Business Administration. David's industry experience offers a well-rounded approach to Customer Account Services. Prior to joining D&L, David was the Logistics Coordinator for Pittsburgh Dispatch Service, Inside Sales for GE Plastics, and Store Manager of a Lowes. David is great at working with our store managers and customers to help solve issues and keep accounts current. Melissa joined the D&L family in 2016 and was promoted to the DC Buyer position in 2019. She has 24+ years combined experience in distribution, procurement, and logistics, along with her years with D&L as Purchasing Coordinator. She works closely with D&L's Director of Operations in her current position. Melissa grew up and lives in South Carolina, so you could say she is “home grown”. She has also been active in York County for quiet sometime. Melissa is looking forward to using her knowledge and experience for many more years to come at D&L. 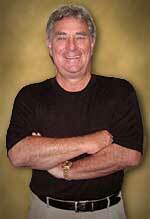 Tom May is a graduate from East Carolina University with a degree in Business Administration. Tom joined D&L Parts Co. in 1999 as the Distribution Manager of our corporate warehouse in Charlotte, NC. Before joining D&L, Tom had experience as a Distribution Manager for the Sara Lee Corporation. He was a Production Manager and worked in sales and marketing for a nationwide company. Tom has also been an owner and general manager of two different companies of his own. Beth joined D&L in July 2000. She has held many positions with in the D&L origination in our IT, Accounts Receivable and Marketing Departments, Executive Assistant to Ralph Brackett and Deb Disney, and Human Resources Manager, before returning to Marketing and becoming the Director of Marketing where she can use her creative side. Beth Suerdieck attended San Jose State University in their Business program. Before joining D&L, Beth had worked in Marketing and Merchandising with Hallmark Corporation along with several other organizations. Beth has also owned and operated her own successful business. Paul Jr. "PJ" is a native of Charlotte, NC. He has worked in several positions within D&L from shipping/receiving to inside sales, up to the Branch Manager role in Charleston, SC. We are excited to see his continued growth in this leadership role! PJ joined D&L Parts Company May 2012 working seasonal and part-time in the distribution center while attending Clemson University and then transferring to the University of Carolina at Charlotte. In 2016, he began my career as an inside sales representative with the company. In his spare time, PJ loves spending time with my family, especially with his energetic two-year-old. He also enjoy traveling, cooking and playing basketball. PJ is excited at the opportunity to get to know Charleston and the great customers. Ryan Brookover joined the D&L Family in February of 2014 as part of the Charlotte HVAC Sales Team. In August of 2014, he became the manager of our Winston Sales location, and then moved to oversee the Greensboro Branch in January 2016. He has come back home to Charlotte, as the Branch Manager at Freedom Drive since September 2017. Prior to joining D&L, Brookover obtained and Associate of Science degree from York Technical College in Rock Hill, SC. After a couple of years working in a QC Lab, he made a jump to HVAC service as a technician under Trane Comfort Specialist Dealers in the Charlotte, NC area for nearly a decade. During this time, he extended his training and knowledgebase by attending a multitude of classes offered by Trane that focused on airflow and duct design, commissioning systems, maintenance, and annual product updates. During his field service career, Ryan attained NATE Certifications in Air Distribution, A/C & Heat pumps, as well as Gas Furnaces, and attended a variety of specialty courses offered by Trane such as “The Charlotte Experience," Wrightsoft, Aluminum Brazing, and Equipment Selection to name a few. When it comes to applying his experience, Ryan is very familiar with the service industry and the work involved, and can relate when it comes to addressing issues where a part has failed, why it has failed, and how to minimize down time. Melissa Christian Dove started with D&L Parts Co in January 2007 as a Counter Sales person. She was promoted to Branch Manager of the D&L Charlotte branch on Monroe Road in December 2009 and looks forward to growing in her knowledge and experience with D&L. Greg Lumpkin joined the D&L Team in Jan. 2015 as an inside salesperson and was promoted to Branch Manager in May 2015. Greg has over 30 years' experience in the HVAC&R Wholesale Distribution business. His roles have included Inside and Outside Sales, and Manager with Baker Distributing, Climatic Comfort Products, and General Wholesale Distributors. Prior to working in HVAC Wholesale business, Greg worked in his family owned Heating, Air Service & Repair business. Mike Murray has been with D&L Parts Co. since 1981. Mike is well educated in both the Appliance Industry and the Heating and Air Conditioning Industry. Mike has extensive knowledge in helping resolve technical problems in the Appliance field. Mike also has the ability to help you design new Heating and Air Conditioning systems using the correct most up-to-date equipment and parts available. Cindy became part of the D&L family in July 1996 at the Raleigh branch on Atlantic Ave. as an Office Assistant. In 1998 she became part of the Sales Team and completed the Trane Service First Boot Camp in 2000. Cindy furthered her education with courses in Customer Relations, Merchandising and Pride 11i CBT through the Partners in Excellence self-study program. Cindy transferred to the Fayetteville, NC location in July 2008 as a Customer Service Rep and has worked her way up to Branch Manager. Cindy has been actively involved with the Multi Housing Communities by serving on Cumberland County Apartment Association board in 2009 and 2010. Cindy vast knowledge in both Appliance and HVAC is a win-win in helping all her D&L customers. Robert Turner is a graduate from South Florence Vocational School in the Air Conditioning and Refrigeration program. Robert has been with D&L Parts Co. since 1981 starting as a Counter Sales Person then working his way up to Branch Manager of our Florence, SC location for over 19 years. Garret Beisner started with D&L Parts Co. in August 2016 as a Territory Sales Representative. Garrett brings a strong multi-family housing knowledge. He is a CAMT designee (Certified Apartment Maintenance Technician) he continues to teach CAMT classes and shares his experiences to build a better future for all who are involved in the service industry. Garret has taken numerous types of heating and air classes ranging from duct design to load calculations and is no stranger to how these systems were installed and serviced. Steve Padgett has been with D&L Parts Co. since 1985. Steve has over 25 years of sales experience. He also has the experience of being a business owner himself. We are proud of the fact that Steve is very involved in serving his community. After working in the furniture business 22 years, Keith Tomblin became part of the D&L family in 2011. Keith has worked at the Hickory location for the past 7 years as a Customer Service Representative. He was promoted to Branch Manager in August of 2018 and looks forward to continuing to grow both his and his staff's knowledge to help service their customers with a positive experience with D&L. Aaron joined the D&L family in Feb 1992, starting out in the Distribution Center. He advanced to Inside Sales and quickly moved to the HVAC department, becoming one of D&L's top HVAC Sales Persons. Joining the HVAC department was challenge but with hard work and dedication it has opened up many opportunities at D&L, two of which were the lead person opening up the Greenville / Spartanburg, SC Branch and the promotion to Branch Manager of the Mooresville, NC Location. He attended CPCC 2013-2015 for HVAC operations and plan to continue his journey. He has also had the opportunity to attend a Trane conference held in Arizona. Aaron continues to enjoy using his years of knowledge, experience in and both Appliance and HVAC to help customers as well as vendors to make D&L a ONE STOP SHOP location. Rebecca Hatchell was born and raised in Myrtle Beach, SC. She worked in GE Factory Service for 12 years before becoming a part of the D&L Parts Family in April 1994. Rebecca has worked her way up in D&L from Counter Sales to Branch Manager and has over 35 years of parts knowledge and experience. Shelby Whitley joined the D&L Family in 1978. She has worked all facets of a D&L with the Raleigh Branch, from the Warehouse to Asst. Branch Manager and now Branch Manager. Shelby has over 36 years of extensive knowledge in both Appliance &HVAC departments. 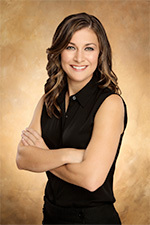 Shelby is looking forward to continuing grow her knowledge and experience with D&L to better serve you, our customers. She one a believer that you are never too old to learn something new. Lisa Johnson has been working in the Appliance, Heating, Ventilation and Air Conditioning industry since 1998. Lisa held many positions at the D&L Raleigh Atlantic Avenue location, including office administration and inside sales where she quickly became a favorite with our customers. Lisa was promoted to the Branch Manager of our Raleigh-Trane location in 2005. Because of her extensive HVAC knowledge and professionalism, Lisa was transferred to the D&L Columbia, SC location in February 2014, where D&L is in a joint venture with the Trane Corporation in South Carolina to distribute residential and light commercial parts, supplies and equipment. Like most of D&L's employees, Lisa is a firm believer in continuing her education. During the years, she has completed Trane's ServiceFirst Boot Camp and Customer Relations courses through The Trane Company's extensive training program. Jeremiah Robinson began his career at D&L Parts Co. in January of 2010 at the Monroe Road, Charlotte NC location as an Inside Sales customer service representative. In June of 2015 he transferred to the Rock Hill, SC location to assist in opening the new store, and in January 2017, he was promoted to Branch Manager. Jeremiah brings a can do attitude to work every day that wins over his customers and co-workers. He is very active and participates in all trade and community events. Peter Schmitz, a native of Washington State, has been with D&L since 2003. He came to Wilmington from Anchorage, Alaska with a background in retail and customer service experience from W.W. Grainger and R.E. Michel Company. Peter is continuing his education to further the success of the Wilmington branch and has a large customer base. Gail Windsor has been with the D&L Family since 1987. Gail has held several positions at D&L learning new thing every step of the way. She has been a rock in the Winston Salem Branch. Gail and her staff constantly striving to learn new ways to help both their Appliance and HVAC customers.